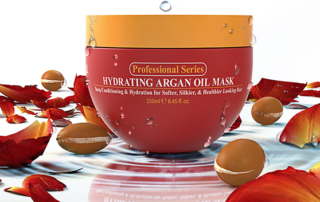 Product Review: @Arvazallia Pro Series #ArganOil Hair Treatments – It's Beauty Maximized! By Editor Tracy Bobbitt|2019-01-22T19:18:07-07:00May 8th, 2014|Categories: Product Reviews, THE BUZZ|Tags: Arvazallia, Arvazallia Professional Series Argan Oil Hair Treatments, Beauty Maximized, Beauty Treatments for Hollywood Moms, Premium Argan Oil Hair Treatment|Comments Off on Product Review: @Arvazallia Pro Series #ArganOil Hair Treatments – It's Beauty Maximized! Arvazallia Professional Series Argan Oil Hair Treatments have been getting rave reviews because of their ability to instantly transform hair - making it soft, silky and easier to manage. It's really easy to use too. How it Works Simply apply one or two pumps of oil to damp hair working from the scalp down to the ends.